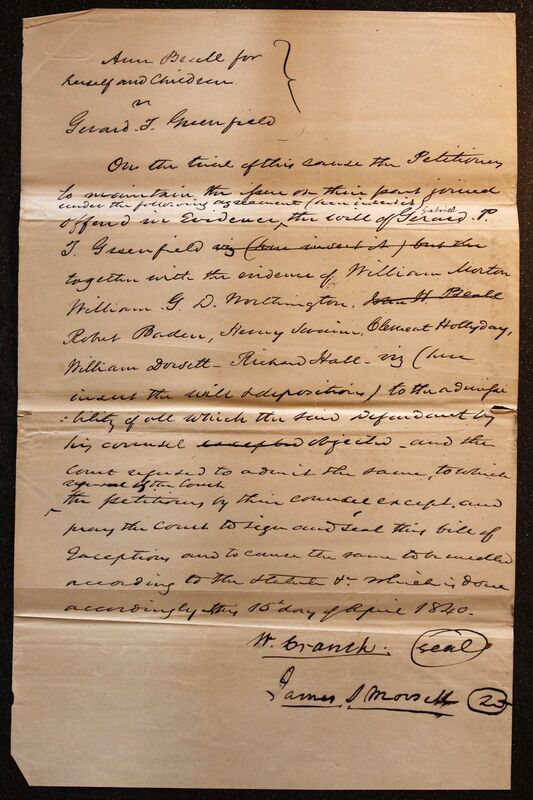 On the trial of this cause the Petitioners to maintain the issue on their part joined offered in Evidence under the following agreement (here insert it) the will of Gerard Gabriel P. T. Greenfield viz (here insert it) but the together with the evidence of William Morton William G. D. Worthington. John H. Beall Robert Baden, Henry Swaine[? 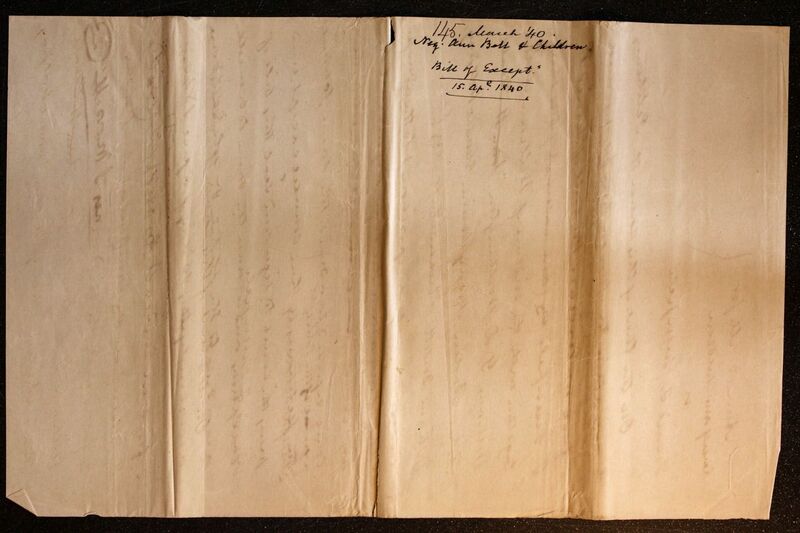 ], Clement Hollyday, William Dorsett, Richard Hall, viz (here insert the will & depositions) to the admissibility of all which the said Defendant by his counsel excepted objected. and the court refused to admit the same, to which refusal of the Court the petitioners by their counsel except, and pray the Court to sign and seal this bill of exceptions and to cause the same to be enrolled according to the statute &c. which is done accordingly this 15th day of April 1840.